Art & Frame of Sarasota: Carol Ann Sherman Workshop UPDATE! 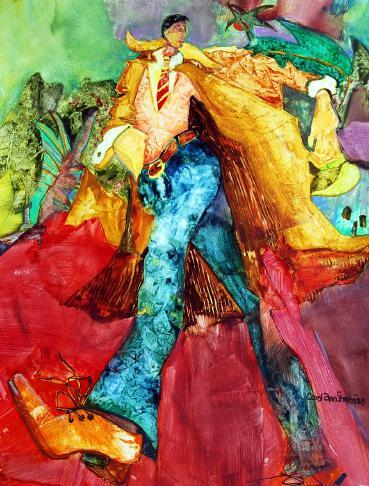 Artist, Carol Ann Sherman will be coming to Art & Frame of Sarasota October 24th, 25th, & 26th (from 10-4pm) to teach a workshop on painting with Watercolors on Yupo paper. You can sign up for Day 1 ($95.00), Day 1 & 2 ($180.00), or all 3 Days ($265). If you sign up for the workshop you will receive a $50 gift bag from Art & Frame of Sarasota! Day one- Carol Ann will concentrate on introducing the class to the unique way watercolor paint and Yupo paper interact. Students will learn the skills needed to create a successful painting, including drawing techniques that will help prepare them for the next day of the workshop. Day two- Plan out your painting--choose your subject (bring in an image or use one that Carol Ann will provide) and use a grid to transfer your image to your painting surface (Yupo paper!). Day three- Complete your painting. A critique will be held at the end of the day for students to gain perspective on their work and to enforce lessons learned throughout the workshop. There is limited space available so sign up today!